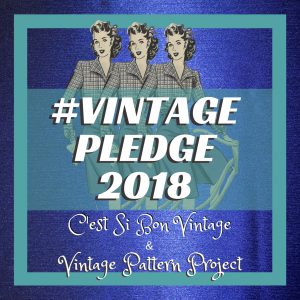 I’m really excited to be partnering with my good friend, Sunny Bonvintage, of C’est Si Bon Vintage, to host this year’s #VintagePledge2018! More on that very soon…. first let me tell you about this new corner of the internet. This is a new site for me (my personal blog is still at https://mysciramakes.com; although I recently started a revamp of that, overall that’s been a tad ignored with my current work schedule), but I’m excited to start this new venture as well. 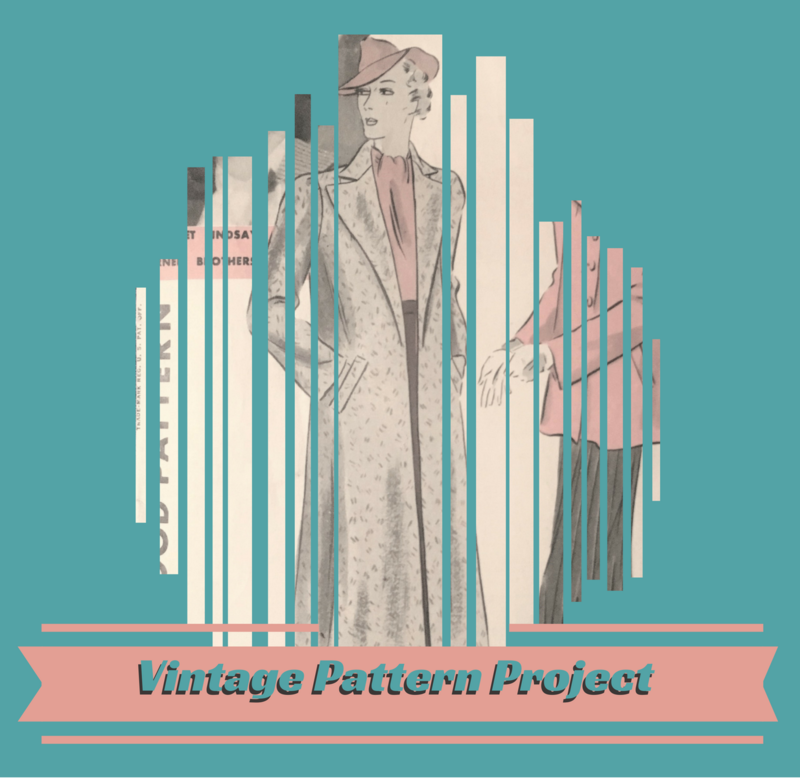 I am building a database of vintage pattern info, only for patterns that people actually have in their hot little hands, and have sewn up. And that leads me back to the 2018 Vintage Pattern Pledge. Sadly, Marie of A Stitching Oddysey is unable to host this year’s Pledge, after getting us all psyched up with almost 4 years of #VintagePledge inspiration – so Sunny & I decided to pitch in for this year’s #VintagePledge2018 (well, ok, so Sunny started it, LOL, but feel free to ask Sunny how much it took for me to rise to the bait). I’ve never done anything like this before, but Sunny’s a whiz, and I can do a blog, so let’s do this! Your pledge can be as specific or as flexible as you like, the only ‘rule’ is that you must use vintage or reproduction patterns. I’m afraid that contemporary vintage-style patterns don’t count. Talk about it in our Facebook group! This is so cool Amy! I’m so excited to be on this Vintage Pledge journey with ((hopefully)) thousands of others dedicated Vintage Sewsocialists and Tailors!! As we pledge, sew, share and post our way through 2018! It’ll be an adventure, Sunny! Thanks, Kay – I’m so excited to see you here! What a fun idea. Love to show off! PJs are still progress…. and some July news! Kelli TAMMONE on Pajama party! Amy on Welcome to #VintagePledge2018! 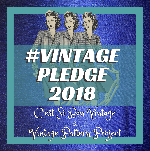 Carolyn on Welcome to #VintagePledge2018!